In this episode, we talk with Matt Fitzgerald: coach, nutritionist, and author of many books including 80/20 Running: Run Stronger and Race Faster by Training Slower. He explains that the number one mistake most runners make that prevents them from getting faster is running their slow runs too fast. It’s a great conversation that includes some discussion about using beer and margaritas as race fuel. 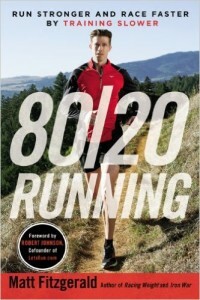 You can follow Matt on Twitter at @MattFitWriter and find him online at http://www.mattfitzgerald.org. It helps new people find us and learn about the joy of running with friends and putting fun in your run.